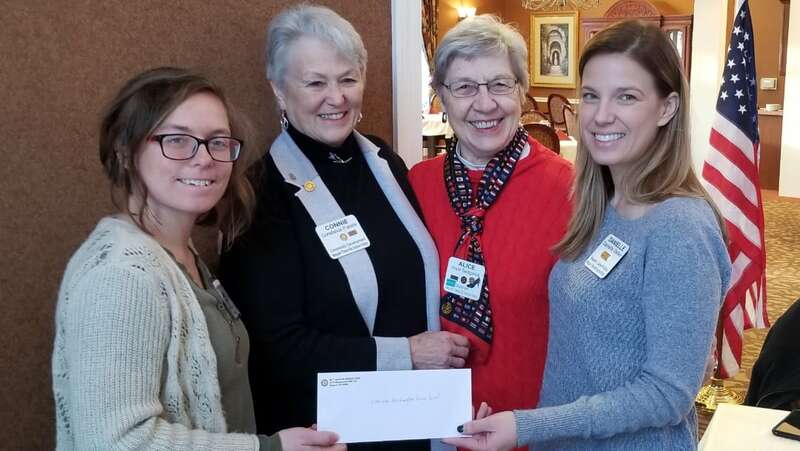 Today's speaker, Christine Bohn, Project Coordinator Ozaukee Washington Land Trust, accepts a $5,000 check from MT Sunrise Rotary. Pictured from left: Christine Bohn, Connie Pukaite, Alice Sedgwick and Danielle Deller. Photo by Bob Blazich.